The below biography celebrates the life and generosity of Caroline Veatch and the ongoing legacy of the Veatch Program. Grants to strengthen UU institutions and community life. Grants to projects that increase UU involvement in social responsibility. Grants to strengthen Unitarian/Universalist or indigenous religions institutions worldwide. 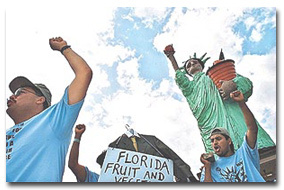 Grants to nonprofit organizations addressing issues of social and economic justice. This award is presented to the Congregation of the North Shore Unitarian Universalist Society for their outstanding and unique contribution to liberal religion and specifically to the Unitarian Universalist movement. For the past two and one-half decades, since receiving the generous bequest from Caroline E. Veatch, you have planned effectively to use that trust to advance intelligently and responsibility the values we share. You have done this by strengthening the institutions of our denomination: the Unitarian Universalist Association, our theological schools, the Unitarian Universalist Service Committee, and untold numbers of individual congregations of our religious fellowship. Indeed, it is difficult to think of any aspect of our work that has not benefited from the benign influence of your support. You have advanced the values of liberal religion by giving support to secular movements and organizations which stand for equality, justice and peace. Many programs working to improve the human condition and to alleviate suffering would not have seen the light of day without your tangible support. You have done this with an impressive degree of modesty. It is no exaggeration to state that the original bequest of Caroline E. Veatch and your subsequent contribution to our movement has been one of the major events in our history. For this World Wide Web project celebrating Notable American Unitarians, the Rev. Gerald F. Weary has been invited to speak about his role in the strengthening of liberal religious thought and action via Caroline E. Veatch. Weary, right, at the cornerstone laying ceremony of The North Shore Unitarian Society in Plandome. When Carrie Veatch was suffering from spinal arthritis and confined to a wheelchair, I called on her regularly from 1945 to the year of her death in 1953. 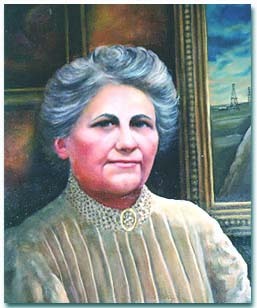 It is well that people know the story of her growing interest in The North Shore Unitarian Society, including the story of Carrie’s life and that of her husband, Dr. Arthur C. Veatch, the noted geologist who left a legacy of royalty rights by which the Shelter Rock Society receives a percentage of the proceeds from the production of oil and natural gas in the North German Plain. I had asked Carrie Veatch whether she should be willing to leave her royalty rights to the church upon her death, and on receiving her agreement, got her notarized signature to a legal instrument that embodied the agreement. After I had been calling on Carrie for nearly three years, she told me she was in need of a lawyer, and she asked me whether I knew one I could recommend to her. I recommended a member of my congregation, James E. Nickerson, a trial and appellant court attorney who was a member of a prestigious Wall Street law firm. Carrie wanted a lawyer to rewrite her will and to sort out and evaluate her estate papers and those of her deceased husband. In performing these legal services for Carrie, Mr. Nickerson had many conversations with her, and so came to know her as a person. 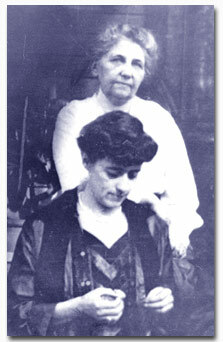 Caroline Veatch, background, with her sister Della Evans. On one of my visits in the seventh year of my calling on her, she told me royalties had begun to accumulate in Germany from the start of production of oil on a concession her husband had acquired, and if I were willing to try and get them out of Germany, and I succeeded, she would give one half of them to the church. She fulfilled her promise, and on the second remittance of royalties from Germany, she again gave one half of them to the church. Since I knew Carrie owned the overriding royalty rights of the OEG Concession in Germany, the thought occurred to me that I should ask her whether she would be willing to continue sharing her remittances of royalties with the church while she lived, and leave her royalty rights to the church upon her death. I called on Mr. Nickerson and asked him what he thought of my idea. He replied that I was the only person who could put the question to Mrs. Veatch. He said he knew Mrs. Veatch respected and trusted me. I acted, and Carrie agreed. When I told Mr. Nickerson this, he at once prepared a legal instrument, a trust, that embodied Carrie’s agreement, and gave it to me. I got Carrie’s notarized signature to it, and then Mr. Nickerson put his notarized signature to it. As trustee, Mr. Nickerson was of course obliged to turn over the royalty rights to the church upon Mrs. Veatch’s death. Over the next twenty years, the church had been receiving millions and millions of dollars in royalties. The church had granted millions of dollars to the Unitarian Universalist Association. It occurred to me that we feel gratitude only to persons we know personally, never to a mere name, and that I may have been remiss in failing to share with others what I knew about Carrie Veatch as a person. Realizing this, I began to write a memorial to her, and also to write about the life of her husband Dr. Arthur C. Veatch and his career as an oil geologist. I completed a book in 1983: A Memorial to Caroline E. Veatch and the History of the Veatch Royalties of the North Shore Unitarian Society, Plandome, NY, by Gerald F. Weary, printed by Pen-Mor Printers, Inc, Lewiston, Maine. Late in the summer of 1993, the Shelter Rock church in Manhasset dedicated a building on its property to Caroline E. Veatch, and asked an artist to paint a portrait of Caroline Veatch. Speaking for the North Shore congregation is the attorney with years of first-hand acquaintance with the Veatch Program while serving as the Consultant to the Church. 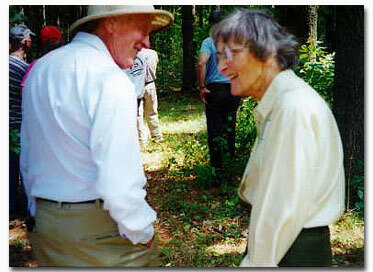 Eleanor Vendig, the original Veatch Program administrator, with the Rev. Harold Hadley. My family and I first came to the North Shore Unitarian Society Inc. in Plandome, NY (NSUS) in the early fall of 1959, some fifteen months after the resignation of Gerald F. Weary as minister to that church. We found a beautiful church structure for worship and fellowship; a quaint, large, old house that served as the church school and focus for youth activities; a very new minister named J. Harold Hadley and his wife, Shirley; and a congregation that exuded vitality, intelligence, warmth and a large degree of cohesiveness and unity. 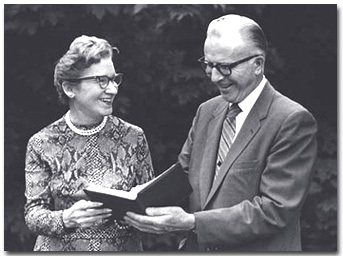 However, my wife, Renee, and I soon learned that the cohesiveness of the NSUS congregation was largely due to a major congregational rift which occurred under Mr. Weary’s ministry and led to his resignation, as well as the withdrawal of several of his staunch supporters from the congregation. (NSUS later moved to Manhasset NY and changed its name to the Unitarian Universalist Congregation at Shelter Rock). We quickly learned of Caroline Veatch and the gift she made to the church (mineral royalty interests in northwest Germany) in 1953 shortly before her death. The annual royalty proceeds in the late 1950’s were in the neighborhood of $25,000 annually, increasing to $50,000 by the early 1960’s as natural gas was being discovered in Germany in addition to oil. We came to know and become close friends with many members of the church who had befriended “Aunt Carrie” as Caroline Veatch was known to most. In addition to Jim Nickerson, other lawyers in the congregation who aided her, as well as other members of her family, included James Regan and Philip T. Dalsimer. Caroline Veatch was an invalid with serious back problems from an early horseback riding accident. She was aided by a member of the NSUS Congregation named Julia Wagner who was a physical therapist and the NSUS’s first Secretary. It was Julia Wagner who discovered that Caroline Veatch was a Unitarian and got her involved in what was then a very new church. Julia Wagner introduced Mrs. Veatch to Philip Dalsimer who, in turn, introduced her to Jim Nickerson. Others who should be remembered include several of the founding members of the original North Shore Unitarian Fellowship: Jean and Harlowe Lincoln, Eleanor and Malcolm Vendig, Helen and Carl Ostergren and Betty and James Wilson. Indeed, I believe that the many kindnesses extended to Aunt Carrie by the NSUS community were large, powerful factors in helping her to decide to make the gift of her royalty interests to the church. By the late 1950’s it became clear that the German royalties provided the NSUS church with an income stream that many in the congregation believed should be shared. A small volunteer committee was formed whose members included the Rev. Harold Hadley, the church’s founding members, and several early presidents of the congregation including Alan Doran and Bernard (‘Ben’) Slater. WHEREAS, it is thought that the establishment of a program for assisting Unitarian Fellowships and Churches and other Unitarian programs through loans and/or gifts which are designed to foster and promote Unitarianism will be a worthy program in its own right and one which will suitably and appropriately honor Caroline Veatch. The resolution provided for a Veatch Committee, which at that time consisted of four volunteers. 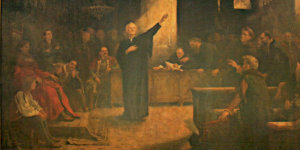 The Committee started the task of establishing criteria for loans and gifts to other Unitarian churches and fellowships. These originally went to other Unitarian churches on Long Island and then in the greater New York City metropolitan area. They were for steeple bells, folding chairs, crockery for coffee hour, rebuilding an organ, financing a new addition, buying land for a new church—the list was endless. By the middle 1960’s the royalty income was well over six figures after the imposition of a West Germany income tax of approximately fifty percent. It was my good fortune to be able to enhance Caroline Veatch’s gift by persuading the United States Treasury Department to get the West German government to agree to change their Treaty on Taxation so as to exempt the church’s royalty income from the onerous German tax scheme. When this was accomplished in the late 1960’s, the royalty income began to exceed seven figures and eventually reach eight figures annually. Give the UUA the money it needed to fund the Black Affairs Council ($250,000 annually for four years beginning in 1968), thereby averting a major division within the UUA regarding the solution of racial issues. Hire Eleanor Vendig as the first paid church employee devoted to the Veatch Committee’s disposition program. She became the program’s administrative officer, a position she filled until shortly before her death in 1995. Persuade Dr. Edward Lawrence to become the Veatch Program’s first full-time executive director, a position he held until his retirement in 1987. The later history of the Veatch program is a story for others to tell. Suffice it to say that its positive role in the growth of the Unitarian Universalist denomination is beyond question, as is the similar role played by many succeeding members of the NSUS and Shelter Rock Congregations. Early in the history of this congregation, which began as a church school in 1941, several members became acquainted with Caroline Evans Veatch, a resident of Port Washington. The first was believed to have been Julia Wagner, who was giving Mrs. Veatch physical therapy treatments. At her suggestion, two other members, Carl Ostergren and Harlow Lincoln, called on her to ask for a donation, which they received. In the fall of 1945 Reverend Gerald Weary, soon after being called as minister to the then North Shore Unitarian Society, began visiting Mrs. Veatch—visits which would continue for the remaining years of her life. Caroline Veatch’s husband, Arthur Clifford Veatch, had been a geologist engaged in the exploration and business of oil from the turn of the century almost until his death. In 1926 he discovered oil potentialities in the North German Plain, the most promising of which were in the State of Oldenburg. After a series of negotiations, he acquired overriding royalty rights in 1929. These royalties were then passed on to Caroline Veatch at her husband’s death in 1938. In the years following 1945, no doubt as a result of her contacts with members and the minister of NSUS, Caroline Veatch grew interested in the small, struggling congregation. 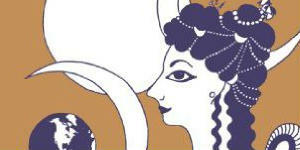 She made a number of contributions, received the newsletter, The Quest, regularly and in 1948 signed the membership book. Aware that royalties were accumulating in Germany, she proposed to Gerald Weary that if he could arrange to get the money due her out of Germany, she would share it with the Society. Weary sought the help of James Nickerson, a trustee of the North Shore Unitarian Society (NSUS) and a partner in a New York law firm. Jim succeeded in moving the flow of royalties, primarily for the production of natural gas. The first payment of $7,168 arrived in 1952, which Caroline Veatch did indeed share. 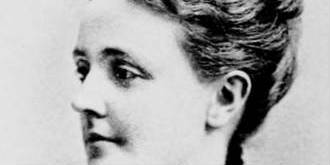 She continued to share her royalty income with NSUS and established a trust which transferred her royalty rights to the Society upon her death in 1953. Later in the 1950’s, a committee, which included Harold Hadley, the minister who followed Weary, was formed to decide how to use the growing income from Germany. The congregation established the Caroline Veatch Assistance and Extension Program. No one could have foretold in 1953 the impact that Caroline Veatch’s bequest, modest at that time, was to have for this congregation, the Unitarian Universalist Association, and for social justice causes throughout the United States. During the first ten years following the initial Veatch Resolution, funds allocated by the congregation—25 percent of royalties—were used primarily for low interest building loans and small grants to Unitarian fellowships and churches. Records show that over these ten years, 92 different congregations were given funds totaling just under $700,000. Unitarian Church Plandome, New York Architect Charles H. Warner Jr.
By 1969 funds flowing annually from royalties reached $400,000. The congregation increased its allocation to 75 percent of royalties and income on investments, after costs, to the Veatch Program and expanded its charitable program to include nondenominational organizations and causes in response to the social concerns of the times. Dr. Edward Lawrence became chair of the then Veatch Committee and Eleanor Vendig, a founding member of the Society, began her career of some 25 years with the Program. Catherina Wriedt joined the staff in 1972 and continued until his death in 1999. In the mid 1960’s, Robert Adelman, an attorney and member of the congregation, was responsible for a United States-German tax treaty amendment which eliminated the tax burden to the congregation of approximately 50% on royalty payments. During the 1970’s, income continued to grow. Substantial grants were made to not-for-profit organizations outside the denomination, and some 250 UU congregations were assisted by the Veatch fund. Remembering the denominational support received during the early days of the struggling church school and Society, the Veatch Program made major grants to the Unitarian Universalist Association (UUA) and its associate and affiliate organizations at a time of the UUA’s own critical financial need. In 1971, Beacon Press, a book publishing house owned by the UUA, received a copy of the Pentagon Papers from Senator Mike Gravel, a Unitarian Universalist. Portions of the Papers had been printed by The New York Times, but, until that time, no publisher had been found willing to produce the entire document. 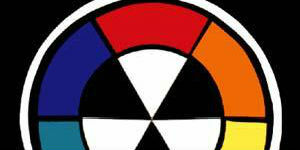 Beacon Press, along with the UUA president and board of trustees, agreed to publish the Papers. Since the UUA lacked the funds, Veatch was asked for help. $100,000 was approved, and Beacon Press, with the assistance of this congregation, published the complete Pentagon Papers—an act of courage for all involved given the political climate of the day. In 1983 the congregation gave an endowment of $9M to the UUA for theological education. At the same time, it provided a subsidy program of $2M for retired ministers and spouses and $2M divided among Harvard Divinity School and the two UU theological schools, Meadville/Lombard Theological School and Starr King School for the Ministry. In 1988 the congregation gave an additional $500,000 to Harvard and established endowments of $2M to Starr King and $1.5M to Meadville/Lombard. During the 1980’s, the royalty income, which had begun in 1952 at slightly over $7,000, grew to a peak of over $15M in 1985. 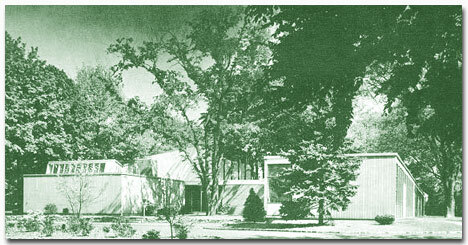 The congregation increased the Veatch allocation to $6M in 1983. In spite of a decline in royalty income following 1985, the growing strength of investments added to the royalties enabled the purchase of the Shelter Rock property and construction of a new church. The congregation also added to the allocation of $6M to reach a total of $9M for the fiscal year 1996. The Veatch Program has continued its dual funding directions: the denomination and organizations outside the denomination carrying out Unitarian Universalist values and principles. The Veatch staff, always a valuable component of the Program, has grown from one to a current total of seven—an executive director, three program officers and three administrative staff members. 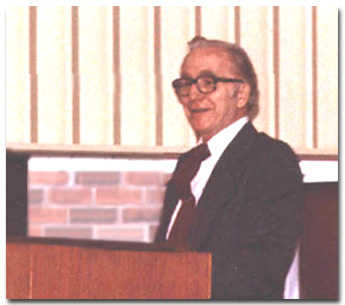 Ed Lawrence, after almost 20 years as executive director, resigned in 1987. He was followed by Josh Reichert in 1987 and Barbara Dudley from 1988-1992. Corinne Rafferty became acting director until Marjorie Fine took the position in 1993. From the time of the bequest to today—over 40 years—members of this congregation have given uncounted hours of their time in the responsible management and disbursement of the fortune made through Caroline Veatch’s gift. Our situation is unique; there have been no precedents to guide us. In addition to our honoring of the congregation for its distinguished service, let us also honor its first two ministers whose contributions were vital to the birth and growth of the Veatch Program; first, the Rev. Gerald Weary and next, the Rev. Harold Hadley. During my college years I attended the services at the Unitarian Church in Lincoln, Nebraska. Admiring its minister, Dr. Arthur L. Weatherly, I decided I, too, should like to become a Unitarian minister, and upon my graduation from college I applied for admission to The Meadville Theological School. At my graduation in 1936 I was awarded the Cruft Fellowship for Study Abroad, which I used to study for three terms at the London School of Economics and for three terms at University College. Upon my return from England, I got in touch with Lon Ray Call, Secretary of the Western Unitarian Conference, and asked him whether there were any vacant pulpits in the Conference. He replied there was one, in Wichita, Kansas. He recommended me to the church, and it called me. Before taking up my ministry with the church, I went to Lincoln to marry Alma Feldman, who was a recent Phi Beta Kappa graduate of The University of Nebraska. After our marriage we left for Wichita, and upon our arrival I began my ministry. In June 1940 I received an invitation to candidate in The Unitarian Church of Bloomington, Illinois, and although I was sorry to leave Wichita, I accepted the invitation, and the congregation voted to call me. 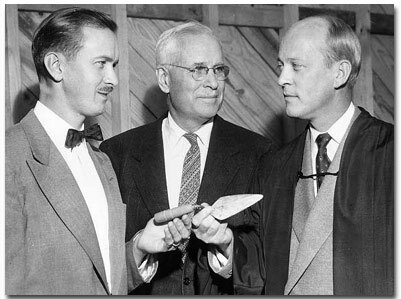 In the winter months the church sponsored a public forum at which noted persons of different walks of life were the speakers, including Robert Frost and John Haynes Holmes of Community Church, NYC. I aspired to deliver sermons of elevated thought and of literary quality, but many others were of the kind that often resulted in social action. One of these I delivered was entitled “Democracy’s Case Against Religious Education on School Time.” The sermon induced members of the congregation to action. One of them, the editor of Bloomington’s newspaper, The Daily Pantagraph, printed one half of the sermon in the next Sunday issue of the newspaper, and wrote an editorial opposing the proposal. Others organized a committee that requested a School Board hearing on the proposal. The School Board granted the request. Following the hearing, it voted unanimously to reject the proposal of the Inter-Church Council for religious education on released time. Beacon Press published my sermon in an attractively designed booklet of twenty-two pages. The Director of the Press told me he sold 5,000 copies of it, largely to libraries throughout the United States. I received a letter from Dale DeWitt, Regional Director of the Middle Atlantic States Council, in which he said someone had given him my name as one who might be interested in becoming the minister of a little fellowship on the North Shore of Long Island. He said a minister must be found who can work vigorously with the fellowship, someone with “a lot of organizing ability and initiative.” He asked me to let him know if the fellowship interested me. I was interested. On my visit I found an enthusiastic little group, with an unbounded faith that a flourishing Unitarian society could be established on the North Shore. The fellowship was then facing a crisis in housing. For one thing, the independent Manhasset Bay School, at which the church school had been meeting, informed the fellowship that at the end of the school year it would no longer be able to rent space for the church school. After searching for another place for the church school, the fellowship found none. Moreover, if I agreed to become its minister, the fellowship would have to find a place for services. The fellowship decided it should buy a house big enough to house all of its activities. For sale was a big house on spacious grounds overlooking Manhasset Bay. Following my candidating, at a special meeting held, and the fellowship voted to raise money to purchase the house. At this special meeting, the fellowship voted to call me as its minister. During the summer it raised from its members and elsewhere, from some members of the New York churches, the amount necessary for the purchase of the house. They secured a loan of $4500 from the American Unitarian Association for its remodeling. Since the fellowship had no bylaws, Harlow Lincoln, the president, was unable to tell me whether my tenure as minister would be for one year or one of indefinite duration, and he was also unable to inform me concerning several other matters a minister would want to know before accepting a call. I decided to go ahead and accept the call, and trust that the fellowship, when it got around to writing bylaws, would write a section on the minister satisfactory to both of us. In 1945 I knew of no colleague who had left an established church to become the minister of a small fellowship. The adventure of becoming the minister of the little fellowship in Port Washington, and seeing whether it would succeed in growing into a church appealed to me regardless of the risk of failure. My wife was willing to share the personal sacrifices we should be making, although she did, of course, hope my salary would be sufficient to meet our physical needs. In 1945 when the fellowship became incorporated as The North Shore Unitarian Society, it was still a very small group, and with limited resources. I began at once to use my manual typewriter and my used mimeograph to publish a weekly newsletter named The Quest. I also began, once a month, to make copies of one of my sermons and mail them with an issue of The Quest. 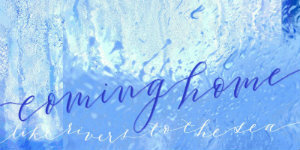 Wishing to interest new people in the church, I kept adding new names to my mailing list. Since the population of Port Washington was too small to support the growth of the church, I faced a formidable task: that of informing people in the adjoining villages of Plandome, Manhasset, Roslyn, Glen Cove, Great Neck about the church and its program, for each of these villages was a self-contained community, and had its own newspaper. Taking on the task, I mailed each week church notices to five village newspapers. I also, each year, instituted a series of three to five special Sunday services on some theme, at which noted persons were the speakers, and at which I gave the concluding talk. Each winter we instituted a series of weekday evening lectures and discussions on various themes led by noted university professors. Although all these programs interested the members of the church, the editors of newspapers in the adjoining villages—and as well, the editor of the newspaper in Port Washington—regarded them as newsworthy and wrote articles about them. We also instituted each month a new exhibit of paintings in the parlor of the church. The members of the church enjoyed the paintings, but the exhibits also interested newspaper editors, who wrote articles about them. Many other things interested people in the church. Early in 1946 the church prepared and adopted a set of bylaws, which called for the institution of new committees. One of them was a Service Committee. Its meetings and actions on ethical, social, and economic issues got much publicity. This was true also of the growing church school. and the Sunday worship services. When I began my ministry with the church, my first sermon was entitled “A Modern Religion for Free Minds.” Melvin Arnold, Director, Division of Publications, American Unitarian Association, made a pamphlet of it. By letter, he told me he first printed 10,000 copies; he then printed 20,000 more copies, which soon were gone; and so he did a third printing. By 1953 we had outgrown the facilities not only because of the increasing attendance at worship services, but also because of the increasing enrollment of children in the church school. The church bought a beautiful two-acre site in Plandome for the construction of new church facilities. Mr. and Mrs. Gerald Weary, 1999. Construction was begun in 1954. The church and all its facilities were completed by September 1955, the tenth anniversary of my ministry with the church. Attendance at services in the new church increased dramatically. As an issue of The Quest reported, 300 people were in attendance at our first Easter service in the new church. At that service people were seated not only in the lounge at the rear of the worship room but also in the social hall, as far back as the kitchen. The membership of the Society also increased dramatically. Despite the loss of members through the founding of the South Nassau Unitarian Church in Freeport, the Unitarian Church of Central Nassau in Garden City, and the Muttontown Unitarian Fellowship in East Norwich, the number of active members reached 357 by April 30, 1958. Besides the 357 active members, at least 200 friends of the Society were attending the Sunday services, many of whom had enrolled their children in the church school. I resigned as minister of the church on June 6, 1958. After my resignation from The North Shore Unitarian Society, I served as the minister of The First Unitarian Society of Ithaca and as a chaplain at Cornell University. Wishing to return to England again, I next accepted an invitation to become the minister of the noted Rosslyn Hill Chapel in Hampstead, London. In my retirement, I wrote my Memorial to Caroline E. Veatch. I also served as an interim minister in two churches. During the years of my retirement, I have been enjoying working in my woods and improving them. Twice, first in 1980, and again in 1999, I have been named the Outstanding Tree Farmer of the Year for the State of Maine. Harold Hadley, an outstanding Unitarian minister, prominent in denominational affairs, was involved in the development of the Veatch Program at the Plandome Church where he was the senior minister from 1959 to 1977. Harold was born in 1912 in Alaska, where he lived among the Eskimos until he was 12. His father, a Quaker missionary, then took the family back to North Branch, Kansas. Harold graduated from the local Friends Academy and then went to the Friends College in Wichita, Kansas. Following some years of teaching and work for the Friends, he obtained a divinity degree from Boston University School of Theology. Following further work with the Friends and then a position as Assistant Professor of Philosophy at Simmons College, he accepted an offer from the Unitarian Church in Framingham, Massachusetts where he served as minister for six years. He then moved to Long Island to accept the position of minister of the Plandome Church. One of the important factors in the congregation’s choosing him was the feeling he could help the members recover from a bitterly divisive conflict over the former minister, Gerald Weary. Harold’s personality seemed ideal for the situation for he was warm, generous, skilled in working with people, and versed in helping others cope with conflict. His tenure of 17 years at Plandome (North Shore Unitarian Universalist Society) was marked by a number of important events and trends, as well as by his carrying out the many facets of his ministerial position. Just before he started the congregation had passed the Veatch Resolution which formalized and expanded the scope of the giving program carried out by a committee which Harold shortly began attending as an ex officio member. Throughout his tenure he attended most of the meetings of this committee and the later Veatch Board meetings. He contributed much from his experience and knowledge of the denomination, an especially important factor in the extensive loan program for UU churches and in advising on grants to the UUA and affiliated groups. His first several years were largely spent in getting to know the congregation and its components, and the local community. 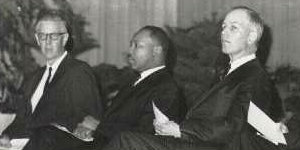 By 1963 he was involved in the early struggles over integration. He preached a prophetic sermon, “Manhasset: Valley of Segregation‚” referring to the isolated portion of Manhasset, adjacent to Plandome, occupied by African-Americans and separated from the whites by a deep valley, geographically as well as socially. He took a leadership role in the local struggle and made a crucial contribution to interracial efforts. In 1966 he quickly rallied several other Long Island UU ministers to accompany him to Selma, where they took part in the march following the killing of the Rev. James Reeb and others. His action on returning played an important role in awakening a slumbering suburban population to the crisis in race relations. Another feature of Harold’s ministry was his sermons, especially those in which he drew upon his study and love of philosophy. The congregation came to value these sermons, which at times focused upon such figures as Albert Schweitzer (whom he had met in 1949), Jefferson, Buddha, Servetus, Emerson, and Thoreau. In 1971 he helped a group in the congregation who were dissatisfied with the traditional Sunday service format establish once a month “Sundays with a Difference,” and he supported them in the face of some harsh objections from others in the congregation. Some such services were led by church members, and others featured performances, plays and other relevant programs. For example, one such service on death and dying focused on a short film followed by small discussion groups to enable members to bring out their concerns. Harold eagerly led one such group, and they became so engrossed it was hard to get him to stop for lunch, and at the end of the service. He helped people to develop an emphasis on what it is that we live for, rather than on fears of death. Along with these activities, Harold was always involved in denominational affairs, and in 1967 he was elected president of the Continental UU Ministers Association, which involved considerable traveling to meet with ministers around the continent. His success in this position led him to decide to be a candidate for the UUA presidency the following year. He took a six month leave from the church to carry out his campaign, which coincided with the black-white controversy within the denomination. At the very last minute, on the eve of voting, Harold decided to withdraw and urged support of Robert West, who was then elected. West succeeded to the presidency at a time of dire financial constraints as well as racial controversy, neither of which issues could readily be solved. Harold and the Plandome church played an important role with respect to both problems, giving large sums both to the developing black group and to the UUA. 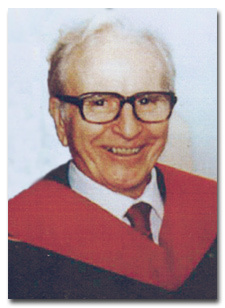 In 1970, Harold was awarded an honorary doctorate by Starr King School, and in the same year he continued his participation in broad social problems by accepting a Unitarian Universalist Service Committee assignment to go to Saigon to evaluate their social work program struggling in the midst of the Vietnam War. In 1971 he was appointed a UUA delegate to the International Association for Religious Freedom in Heidelburg and in 1975 to the IARF in Montreal. Harold retired in 1976 but continued to be active. He first served as Executive Director of the Fellowship of Religious Humanists in Yellow Springs, Ohio and editor of its journal. Four years later he and his wife Shirley moved to Amherst, Massachusetts. While there he founded and was the first president of the UU Retired Ministers Association. He was commended by a later president for his “dedication to organizing, guiding, and celebrating our ministry in these retirement years.” Probably due in part to his influence, the Plandome church made significant contributions to the welfare of retired UU ministers. In 1994 Harold and Shirley moved to Hadley House in Port Washington, NY, a retirement facility erected by the Plandome Church (now the UU Congregation at Shelter Rock). Years earlier Harold had attended a conference on housing for the elderly and returned to the church to spark a ten year effort by the congregation to find and build the home. By congregational vote it was named after Harold. Unfortunately, he died only months after returning to live there. Shirley continues to live there. A moving memorial service celebrating his wonderful life was held in November 1994. The UU Veatch Program supports Unitarian Universalist organizations that foster the growth and development of the denomination and that increase the involvement of Unitarian Universalists in social action. The Unitarian Universalist Veatch Program at Shelter Rock supports Unitarian Universalist organizations that foster the growth and development of the denomination and that increase the involvement of Unitarian Universalists in social action. There is a great deal that is very wrong in the world as we find it in the first decade of the 21st century. Tremendous wealth and greed exist alongside unbearable poverty; we find little compassion and almost no greatness among our national leaders. We believe that fundamental changes are needed, changes in values, in priorities, in analysis and in governance. We also believe that those changes will occur only if the people of this country themselves provide the leadership that is so sorely lacking. The UU Veatch Program funds grassroots organizations of people, not of “experts,” because we believe that it is only by rebuilding democracy in this country from the bottom up that truly new policies will be envisioned, demanded and implemented. The UU Veatch Program funds community initiatives and organizations working on a wide variety of issues in many different parts of the country. We look for organizations that are developing new public policy, and new ways of organizing at the grassroots level. Community organizing efforts that build power by and for disenfranchised communities, and that seek to hold decision-makers accountable to the needs of low-income people and others traditionally excluded from making the policies that affect their lives. Environmental justice groups that are demanding the reduction of toxic production and dumping in communities of color and poor communities. Organizations that challenge the control of corporate money over our political process, and that seek to return our democracy to its rightful owners. 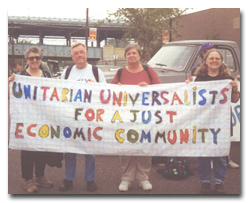 The UU Veatch Program also supports non-denominational organizations whose goals reflect the principles of Unitarian Universalism. — From the website of the Shelter Rock congregation. Ross, Warren. Funding Justice: The Legacy of the Unitarian Universalist Veatch Program . Boston: Skinner House Books, 2005.